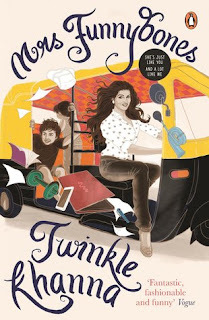 This book is written by renowned actress Twinkle Khanna. After digging her luck in diverse fields, she began writing. I am a fan of her newspaper column that comes every Sunday in Times of India, and also her scintillating tweets. I would always admire her for her unconventional sense of humor, presence of mind and stark comments. Also, having traveled many roads of life including acting, interior design and, of course, writing, she carries a distinct identity and charm of her own. This book is about her day-to-day life experiences in a funny manner. Although, I was expecting a lot more from her debut novel. It seems more like a collection of her newspaper articles. When you spend some money to buy a book, you do not expect it to contain the stuff that a corner of a 5 bucks newspaper has! You are investing time as well as money not to know her autobiography, and that to, not actual autobiography but certain regular events from here and there from which one derives no conclusion. With 235 pages including a lot of blank pages, text size 12 and 1.5 size line spacing, broad margins, even the slowest reader on the planet can finish this book in no time. Not everyone wants to be enlightened by how she struggles as a mother, her baby wants to use her hello kitty potty seat in FLIGHT, or that she gets captured by paparazzi often, or that her son has got a girlfriend at eleven or the MIL jokes with her female friends or how much the family travels abroad in FLIGHTS. Nevertheless, coming to some good points, the book is humorous, you smile and laugh from time to time and feel light when reading it. This is a quick read and hence, it may help you to overcome reader's block, if any. The sarcasm and composition of sentences is quirky. My rating for this book is 2.5 on 5 and I recommend it to those who are are willing to pass their time on a train journey or a flight. If you are an author and want your book to be reviewed, drop an email at bookreviews@mansiladha.com. 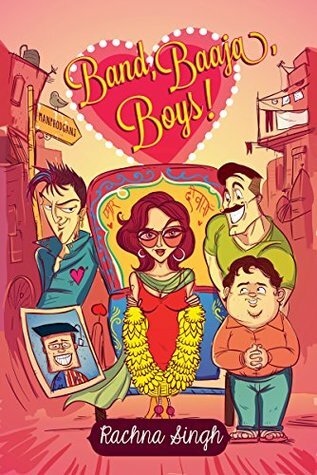 This a book by author Rachna Singh is a light hearted comedy. The plot is set in Allahabad. And hence, the humour. 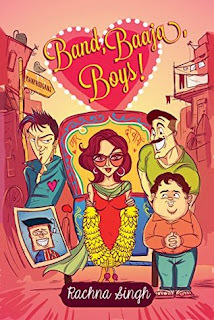 Rachna singh has brought up the core and basic aspects of the residents as her characters and translated that into humour. The characters are relatable and very usual. The story is about Binny Bajpai - 20 year old daughter of hosiery shop owner Brajesh Bajpai and homemaker Kumud Bajpai. Binny is busy making boyfriends and spending her father's money as the only child. Meanwhile, Kumud and Brajesh are keen on getting the best groom for her from the available options. They are juggling between readily available Mr. Chaubey's son and sparsely available Mr. Dubey's son. Raja is the one sided lover of the heartthrob Binny. Rahul is Binny's lover and a politician's spoiled son. This hullabaloo gives you chuckles and giggles throughout, keeps you gripped to what happens next. (I want to control myself from being a spoiler by providing the details). Rachna brings alive her characters who are easily identifiable and close to real life, no exaggeration. Use of Hinglish is quite funny. If you are looking for a deep story and a witty plot, this one is not for you. It is predictable at times but a cute filmy tale. But if you are looking for a stress buster and a lot of laughter this is your cup of tea. I applaud the observation and comic interpretation of fellow Indians (esp. from Allahabad) by the author especially when she herself was swinging between life and death (cancer treatment). It's easy to make people cry, but difficult to make them laugh, and that's what Rachna has excelled at. I rate the book 3 on 5 and recommend it to those who want to go over a quick and light read combined with doses of fun.